Join Fr. 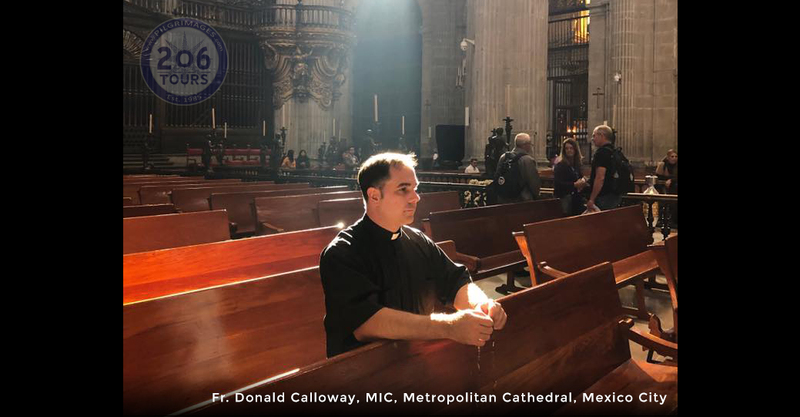 Calloway on a pilgrimage to the Basilica of Our Lady of Guadalupe, Mexico City, and many other beautiful locations! See the incorrupt body of Bl. Sebastian of Aparicio and the first church ever dedicated to the rosary in Mexico that dates from the 16th century! 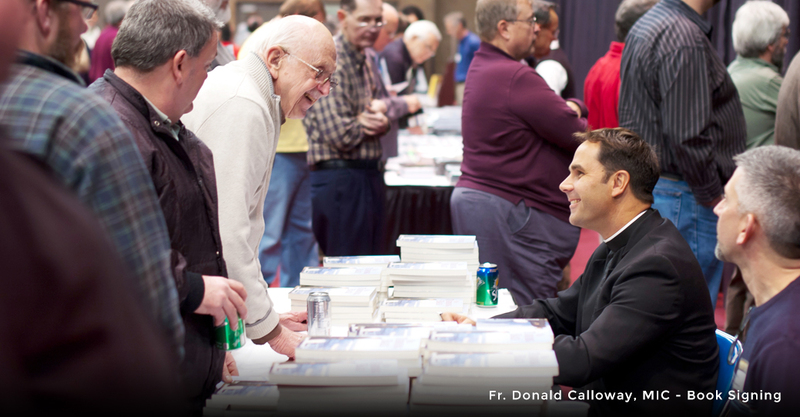 This will be a pilgrimage you will never forget! 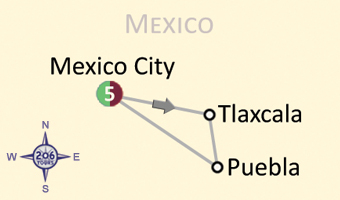 This morning, you will make your way to your local airport for your flight(s) to Mexico City. Depending on the time of your arrival, Mass is projected to be at Santo Nino de la Paz Church (Holy Child of Peace Church), and then dinner at the Hotel. This morning your day begins with breakfast, followed by a visit to Holy Family Church, where you will view the tomb of Bl. Miguel Agustin Pro, the Jesuit martyr. 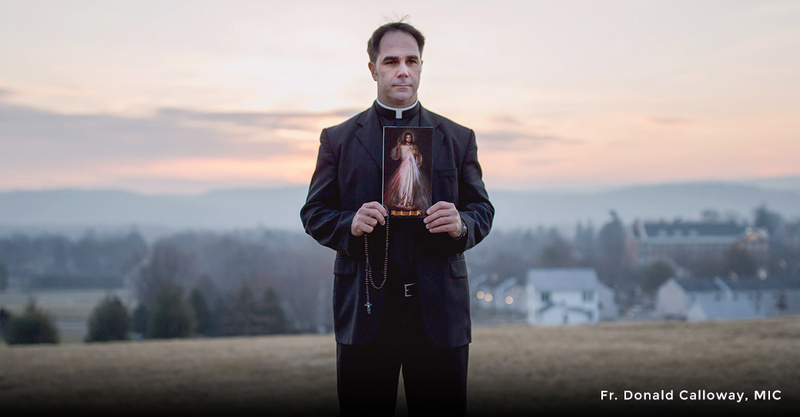 In the Mexican Revolution, a time of great religious persecution occurred in Mexico and Fr. Pro was exiled from Mexico. However, he returned to Mexico and was aided by a clandestine group who helped him hide from authorities. During the persecution, he assisted many individuals in their spiritual, as well as temporal needs. Although he helped many, he was eventually arrested and killed. His final words before the firing squad were "Viva Cristo Rey! (Long Live Christ the King!)" 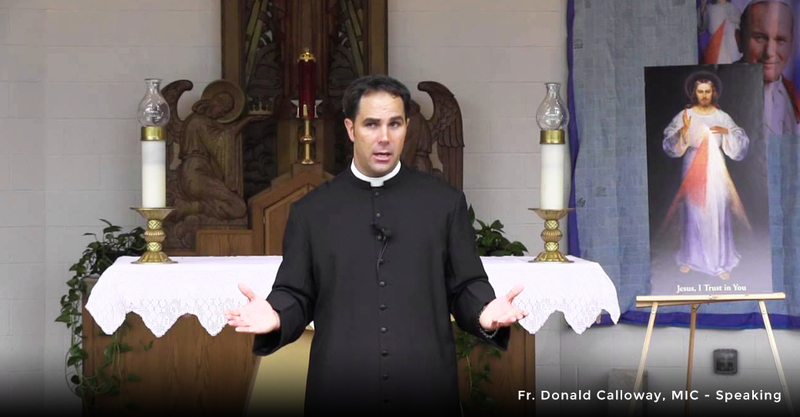 At this Church, you are able to pray to this great martyr and venerate his relics. We will also visit the small, but very inspiring Museum dedicated to Blessed Miguel Pro. After this visit, we will visit the actual place where Bl. Miguel was shot. 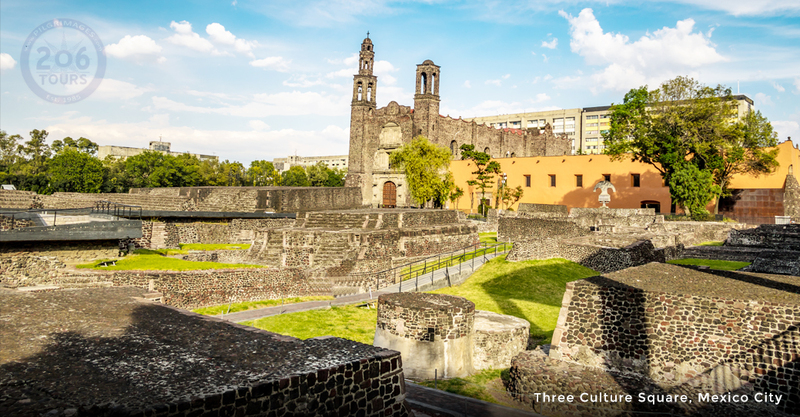 Next, we will visit the Church of Santiago Tlatelolco, where St. Juan Diego was baptized. This area is important as it symbolizes the unique blend of pre-Hispanic and Hispanic cultures that make up Mexico. In the city centre, you will tour the oldest and largest Cathedral in all of Latin America, the Metropolitan Cathedral. Throughout your time in the Cathedral, you will be overwhelmed by the stunning paintings, altar pieces, and statues. Your tour continues with the National Palace. This extraordinary Palace has been a building of the ruling class of Mexico since the Aztec Empire. During this visit, you will be able to view amazing murals painted by Diego Rivera. Our day continues with a visit to the Plaza of Santo Domingo. 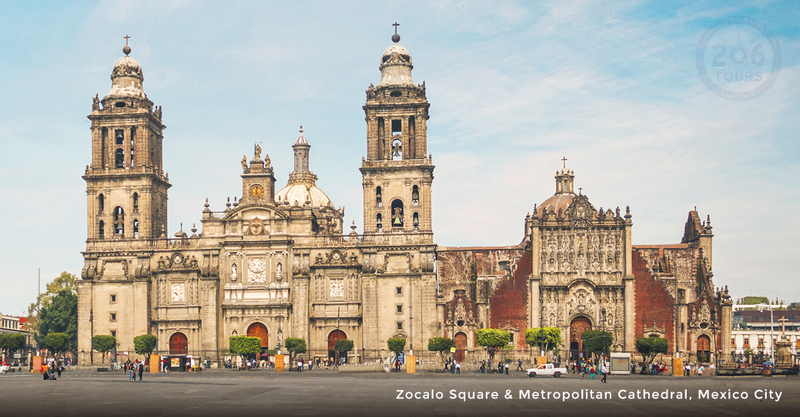 This Plaza contains two holy places that are architecturally exquisite: The Church of Santo Domingo (the first church built by the Dominicans in Mexico in 1576) and the Shrine of Our Lady of the Rosary (the first Rosary Shrine in Mexico). Additionally, you will visit the Shrine of Our Lady of Covadonga, the headquarters of the Confraternity of the Most Holy Rosary. This Shrine is dedicated to the Patron Saint of Asturias (Spain). 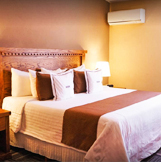 Return back to your hotel to enjoy a delicious dinner and rest before the next day of activities. After breakfast, transfer to the Church of the 5th apparition in Tulpetlac, where the Blessed Virgin Mary appeared to Juan Bernardino, Juan Diego's uncle. Here you will find a well of healing water which locals still use. 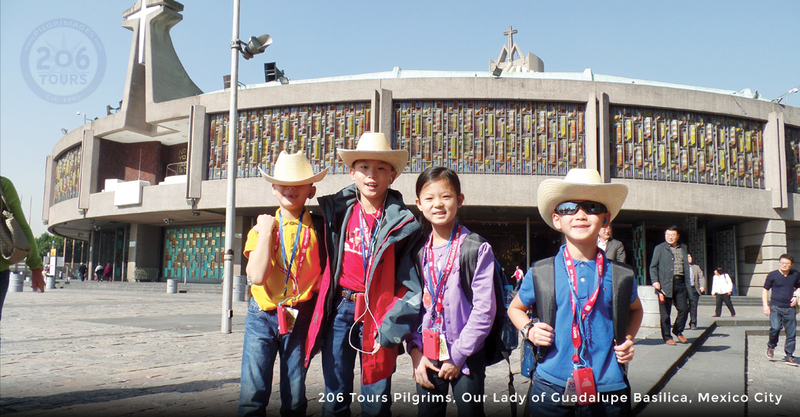 We continue to the Shrine of Our Lady of Guadalupe (Patroness of the Americas). We will visit the Shrine, built in response to Our Lady's request to St Juan Diego. 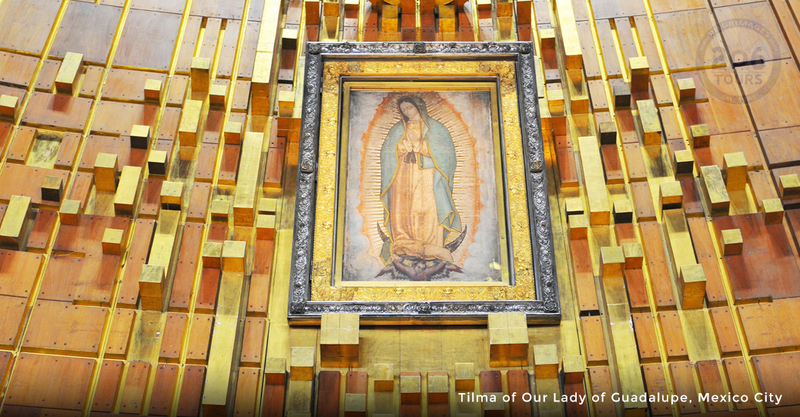 Upon arrival at the Shrine, you will join the other pilgrims as you kneel in front of the centuries old tilma where Our Lady's image was miraculously printed. Private Mass will be celebrated in one of the upper chapels. 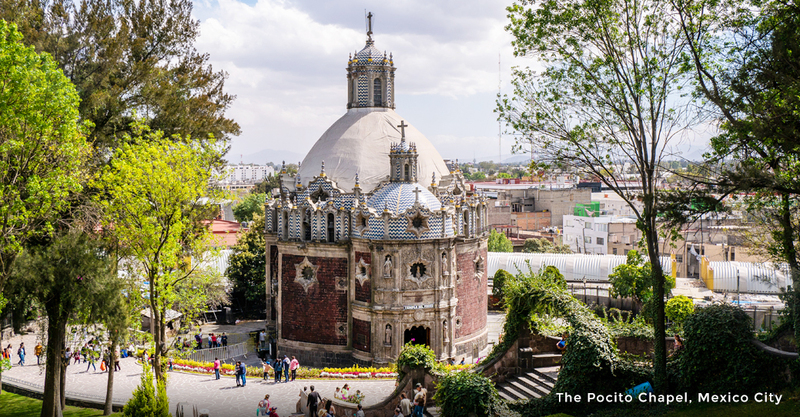 Next, you climb Tepeyac hill, visit the Old basilica, the Chapel of the Indians, and the Chapel of the Well. We will have lunch nearby, followed by time for prayer and shopping. 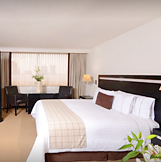 In the late afternoon, we return to the hotel to enjoy a delicious dinner and rest for the next day. After breakfast, we depart early for Queretaro City, where will celebrate Mass at the Church of the Cross and have a short visit to the Franciscan Monastery where Fr Junipero Sierra started his vangelization and founded Franciscan Missions (some of the them being in California). We will also learn more about the life of Fr. Antonio Margil de Jesus, who was stationed at the missionary college of Santa Cruz Queretaro. It is said that one day on his way back from preaching, Fr Margil stuck his walking cane on the ground in the garden of the courtyard adjoining the monastery. After several days, people noticed that where the cane was stuck, sprouts began to grow, eventually becoming a tree. The miraculous tree produced neither flowers nor fruits, but a series of small thorns each in the form of a cross. The tree can still be seen in the monastery courtyard today. Lunch and transfer to Atotonilco Guanajuato, where we will visit the Shrine of Jesus the Nazarene, and admire the baroque mural paintings. 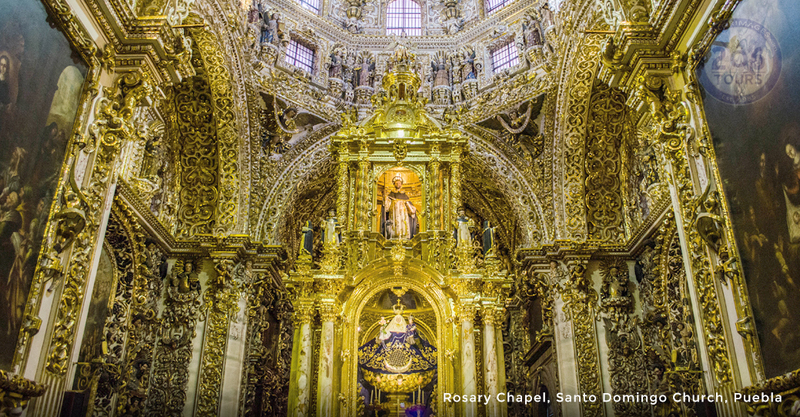 This location is a World Heritage Site known as the "Sistine Chapel of the Americas." We then transfer to San Miguel de Allende where we will visit La Parroquia de San Francisco Church. 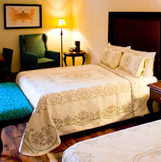 Next is dinner and overnight in San Miguel de Allende. After breakfast, early departure to the Cerro del Cubilete to celebrate Mass (reservation to be done with 6 months in advance). 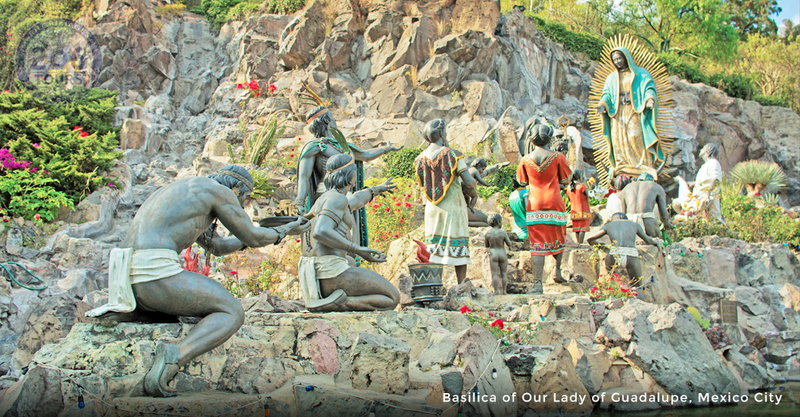 The Cerro of Cubilete is a special emblematic site for the Cristeros. It was bombed in 1928 by the Mexican government which led to the famous refrain of the Cristero Revolution: "Viva Cristo Rey!" It was reconstructed after the Cristero revolution in 1944, and finished in 1950. The monument of Christ the King weighs 80 tons, and is 120 feet high. At the base of El Cerro del Cubilete is the Shrine of Santa Maria de los Martires where we will see the relics of three Cristeros: Fr. 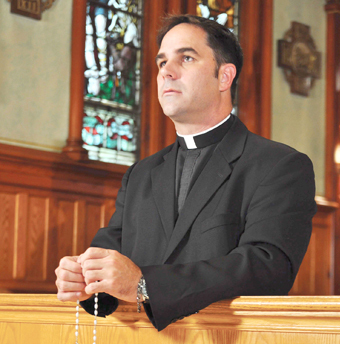 Jose Trinidad Rangel Montano, Fr. Andres Sola y Molist, and Sr. Leonardo Perez Larios. After lunch, we will continue to Incarnation de Diaz and visit the Church of Our Lady of the Incarnation, where we will see the relics of Fr. Pablo Garcia and the Center for Cristero Studies. This center hosts a museum with an archive of photographs, 350 historical documents, 120 artifacts, and relics of the Cristero Revolution.We continue to Lagos de Moreno, a beautiful town with a magnificent historical center, declared by UNESCO as a World Heritage Site because of its wealth and splendor. Dinner and overnight in Lagos de Moreno. After breakfast, we will depart for San Juan de Los Lagos. We start with a visit to the Sanctuary of St. Pedro Ezqueda, a martyr of religious prosecution. We will then visit the Cathedral Basilica of Nuestra Senora de San Juan de los Lagos, the second most visited Catholic center in Mexico (after the Shrine of Our Lady of Guadalupe) where we will celebrate Mass. The image of the Immaculate Virgin of the Conception was brought here by Fr. Miguel de Bolonia. 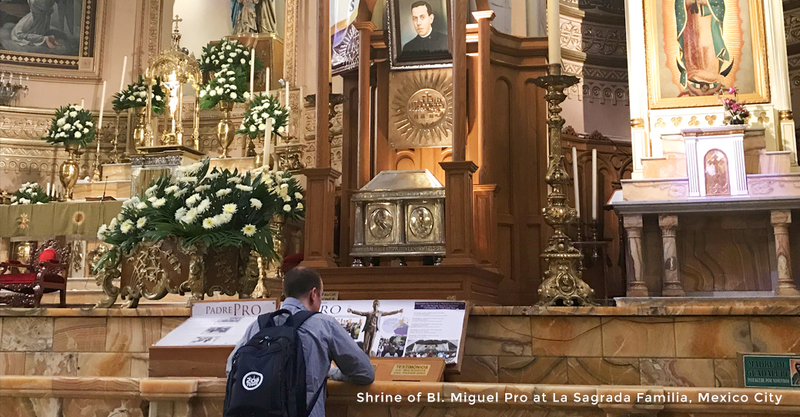 Thousands of pilgrims come to the city to pay tribute to a small image of the Virgin Mary titled "Our Lady of San Juan de los Lagos." The image is very small, about 1.25 feet tall. It is made of sugar cane paste and believed to have been brought to the area from Michoacan in the early 1500s. The first important miracle associated with the image dates back to 1623. A family of acrobats performed a show which included "flying" over a field of spear points. The 7 year-old daughter fell onto the spears during the act and died immediately. Local women brought the image to the body and prayed over her and the child revived! This miracle made the image famous. Since then, many other miracles have been attributed to Mary's intercession, often saving people from mortal danger or dangerous illness. Mass will be celebrated at the Basilica. We will continue to Santa Ana de Guadalupe and visit the house and the Shrine of San Toribio Romo, a martyr. San Toribio is known as the patron of migrants, and we will have time to pray in front of his relics. We will continue to San Julian, the birthplace of the Cristero revolution, and visit the Church of St Joseph where the resting place of St. Julian Alvarez is (the priest whose execution is memorialized in the film "For Greater Glory"). 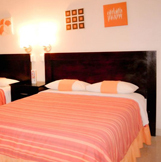 We will continue to the city of Guadalajara for dinner and overnight. After breakfast, we departure for Sahuayo. We will dedicate this morning to St. Jose Sanchez del Rio, the youngest of the Cristero martyrs. He was canonized on October 14, 2016. We will celebrate Mass at the Church of St James where St. Jose (Joselito) was taken prisoner by the federal troops. We will have time to pray in front of his relics. Next, we visit the cemetery where St. Joselito bravely declared his loyalty to Christ. As he was being tortured he cried out "Viva Cristo Rey!" We have lunch, then return to Guadalajara. 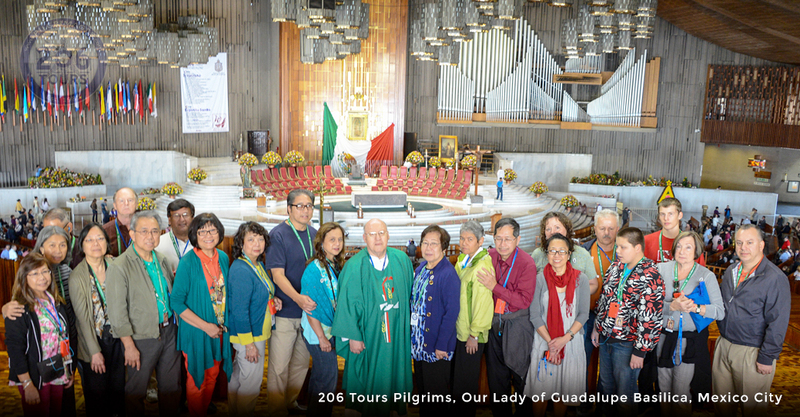 In Guadalajara, we visit the Cathedral with the ossuary consisting a glass cabinet that exhibits the bones of 23 of the martyred saints of the Cristero Revolution, followed by a visit of the city centre with its historical buildings and government palaces, as well as the elegant Degollado Theater. Dinner and overnight in Guadalajara. This morning you will make your way to the airport for your return flight(s) from Guadalajara's Airport to your final destination.